Oh No…it happened! It’s Lost! Have you ever lost your phone or wallet, you get that sudden sinking feeling? My daughter spent the summer studying abroad. She was warned about pickpockets by friends. And, she has made it through almost two months without incident… until last week. That is when I got the hysterical call that she was pickpocketed in broad daylight and now without her driver’s license, her debit card, credit card, transportation card, and about €50. Thankfully her passport was not in her backpack. We did not cancel her debit card but tracked the activity. That allowed her to Venmo friends who paid for her subway, meals and anything else she needed. My other college student lost more Student ID’s, keys, driver’s licenses than any person I know (or at least I thought). Conduct a search on the student UCF page, and you will see daily posts for lost keys, wallets, cell phones, ID’s and so forth. And, while clearly my daughters are not the only ones who lost valuables, or had them stolen, it does happen. Ironically, my daughter won The Tile at a family holiday grab bag event. The Tile is a small lost and found device that you attach to the things you don’t want to lose, be it a computer, bike, keys, luggage, wallets- even pets (attach to their collar). Unfortunately, she chose not to use it while abroad. During the tumultuous week, while continually trying to calm her down via text and calls, I received an email from the Tile Team with the subject line “We know how to help you find your wallet.” The coincidental timing was funny to me, however, my daughter, who has a great sense of humor, responded: “too soon.” Had she had The Tile in her wallet, I would never have had her go on her own to find it but perhaps she could have enlisted the help of the local police. For lost phones, they have a Find My Phone or Device Manager to access, provided their phone is not turned off. Whether you have a student studying abroad or on campus, perhaps a gift of a tracking device will alleviate the frustration, anger, and tears should they lose something valuable. Of course, lost property may be claimed, by appointment, between the hours of 9 am and 3 pm, Monday through Friday. If lost your UCF Card, check with the John T. Washington Center to see if it was turned in otherwise there is a $15 replacement fee. 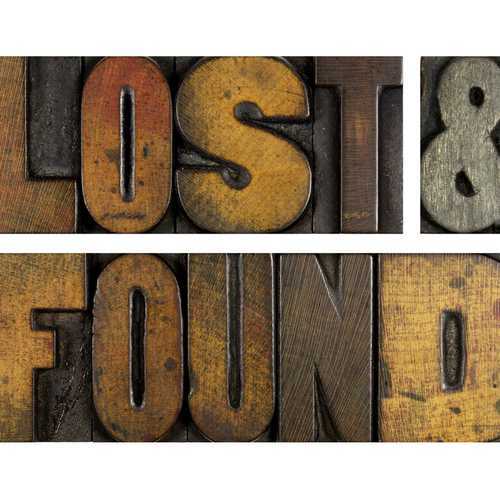 More information about lost and found items may be found here. If you lose an item while the Union, or either of the All-Knight Studies, check the Student Union information desk on the main floor. Student Union employees, as well as many other students, turn in lost or forgotten items here. When the day is over, a Student Union employee turns all the lost and found items into the UCFPD so if the Union does not have your lost item, the next, best place to check is UCFPD lost and found.